How Is Windows 10 Doing? With the latest statistics revealing that Windows 10 is on fewer than 8% of desktops, Microsoft appears to be getting desperate about getting users to upgrade. 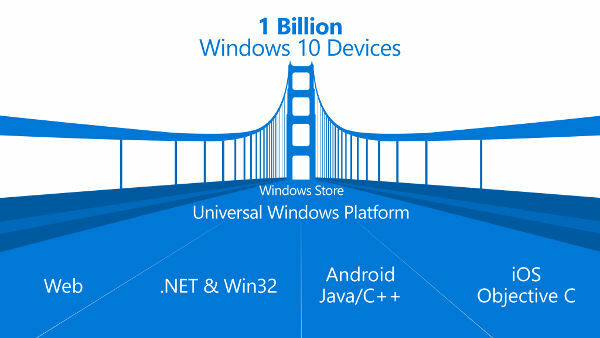 When Microsoft launched Windows 10 on July 29th it had high hopes that the new operating system would become the Universal Windows Platform and have a reach with a larger order of magnitude. Now three months later we are still waiting for the Windows 10 Phone and adoption of the operating system among desktop (including portable and notebook users) is slowing month on month. "Windows 10 came out of the traps much faster than Windows 8 and also exceeded the launch of Windows 7." Using StatCounter figures Cullen claimed that worldwide usage of Windows 10 in its first calendar month (August) was 4.9% compared to 1% for Windows 8 and 4.1% for Windows 7 after their first complete month. This month's figures, however, show that Windows 7 users who weren't among the early adopters are proving resistant to change. StatCounter reports the Windows 10 market share for October at 9%, compared to 7.64% in September. This could be because Windows 8/8.1 users see Windows 10 as a big improvment but Windows 7 users are essentially happy with the UI as it is and still see Windows 10 as still too close to the Windows 8 experience that they had been avoiding. I personally have heard people being told to upgrade any Window 8 devices to Windows 10 because it is better and they have nothing to lose but play a waiting game for Windows 7 machines that are working well. NetMarketShare paints an even bleaker picture, showing that Windows 10 global share was 5.21% by the end of August, 6.63% at the end of September, and 7.94% at the end of October. StatCounter's October 2105 pie chart has another shock to reveal - Windows XP still has a larger market share (by a percentage point) than Windows 8.1; let alone Windows 10 which lags well behind. Windows 7 with 56%, which for the reasons described earlier, is likely to be dominant for quite some time. So how can Microsoft persuade those of us who are happy to stick with our existing versions of Windows to make the move. It seems to be ramping up the Upgrade Now campaign by presenting us with figures that it expects us to consider as encouraging. In the same bog post Myerson also unveiled a new set of adverts, intended to be more entertaining, reminding us that Windows 10 is free. Of course its only free if you have a Genuine copy of Windows 7 or Windows 8/8.1. So, in the same blog post Myerson explains that Microsoft has come up with an experiment making it easier for people in the United States to upgrade pirated copies of Windows 7 in order to get Windows 10 free. If it proves to be a success it will then be extended to other countries. Does this reveal that Microsoft is getting desperate? It at least proves that it still has a sense of humour.